Draft: 2011, Los Angeles Angels, 3rd rd. 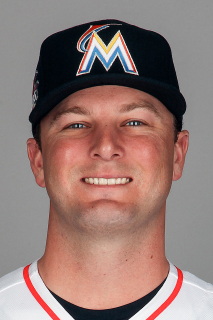 January 12, 2017 Miami Marlins invited non-roster LHP Nick Maronde to spring training. December 8, 2016 New Orleans Baby Cakes claimed LHP Nick Maronde off waivers from Columbus Clippers. September 1, 2016 LHP Nick Maronde assigned to Columbus Clippers from Akron RubberDucks. August 12, 2016 LHP Nick Maronde assigned to Akron RubberDucks from Columbus Clippers. July 17, 2016 LHP Nick Maronde assigned to Columbus Clippers from Akron RubberDucks. July 14, 2016 LHP Nick Maronde assigned to Akron RubberDucks from Columbus Clippers. July 6, 2016 LHP Nick Maronde assigned to Columbus Clippers from Akron RubberDucks. July 4, 2016 LHP Nick Maronde assigned to Akron RubberDucks from Columbus Clippers. July 2, 2016 LHP Nick Maronde assigned to Columbus Clippers from Akron RubberDucks. May 21, 2016 LHP Nick Maronde assigned to Akron RubberDucks from Columbus Clippers. April 18, 2016 Columbus Clippers placed LHP Nick Maronde on the 7-day disabled list. Strained left shoulder. March 5, 2016 LHP Nick Maronde assigned to Cleveland Indians. September 15, 2015 LHP Nick Maronde assigned to Columbus Clippers from Akron RubberDucks. August 18, 2015 LHP Nick Maronde assigned to Akron RubberDucks from Columbus Clippers. July 29, 2015 Columbus Clippers activated LHP Nick Maronde from the temporarily inactive list. July 26, 2015 Columbus Clippers placed LHP Nick Maronde on the temporarily inactive list. December 23, 2014 Cleveland Indians sent LHP Nick Maronde outright to Columbus Clippers. 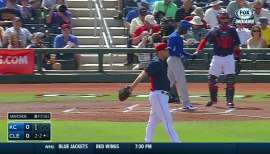 December 16, 2014 Cleveland Indians designated Nick Maronde for assignment. September 29, 2014 Cleveland Indians recalled LHP Nick Maronde from Columbus Clippers. September 1, 2014 LHP Nick Maronde assigned to Columbus Clippers from Akron RubberDucks. August 20, 2014 LHP Nick Maronde assigned to Akron RubberDucks from Mahoning Valley Scrappers. August 6, 2014 LHP Nick Maronde assigned to Mahoning Valley Scrappers. July 12, 2014 Los Angeles Angels traded LHP Nick Maronde to Cleveland Indians for Player To Be Named Later. 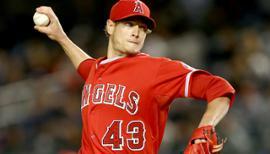 July 10, 2014 Los Angeles Angels designated LHP Nick Maronde for assignment. July 3, 2014 Arkansas Travelers sent LHP Nick Maronde on a rehab assignment to AZL Angels. June 25, 2014 Arkansas Travelers placed LHP Nick Maronde on the 7-day disabled list. May 23, 2014 LHP Nick Maronde assigned to Arkansas Travelers from Salt Lake Bees. May 8, 2014 Los Angeles Angels optioned LHP Nick Maronde to Salt Lake Bees. 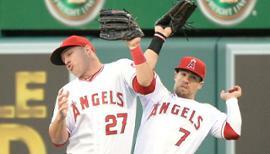 April 21, 2014 Los Angeles Angels recalled Nick Maronde from Salt Lake Bees. April 11, 2014 Los Angeles Angels optioned LHP Nick Maronde to Salt Lake Bees. September 30, 2013 Los Angeles Angels recalled Nick Maronde from Arkansas Travelers. August 14, 2013 Los Angeles Angels optioned Nick Maronde to Arkansas Travelers. July 29, 2013 Los Angeles Angels recalled Nick Maronde from Arkansas Travelers. May 1, 2013 Los Angeles Angels optioned Nick Maronde to Arkansas Travelers. April 23, 2013 Los Angeles Angels recalled Nick Maronde from Arkansas Travelers. March 24, 2013 Los Angeles Angels optioned Nick Maronde to Arkansas Travelers. September 1, 2012 Los Angeles Angels selected the contract of Nick Maronde from Arkansas Travelers. July 31, 2012 Nick Maronde assigned to Arkansas Travelers from Inland Empire 66ers. July 7, 2012 Nick Maronde roster status changed by Inland Empire 66ers. June 20, 2012 sent LHP Nick Maronde on a rehab assignment to AZL Angels. April 2, 2012 LHP Nick Maronde assigned to Inland Empire 66ers from Orem Owlz. March 7, 2012 LHP Nick Maronde assigned to Los Angeles Angels. July 8, 2011 Nick Maronde assigned to Orem Owlz from Los Angeles Angels. July 7, 2011 Los Angeles Angels signed LHP Nick Maronde.